How Do Sidewalk Tastes Work? 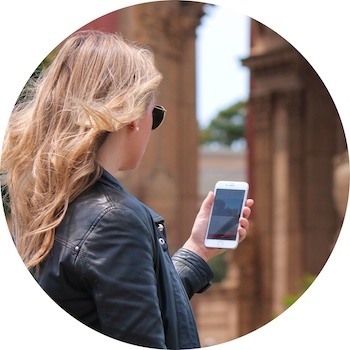 Sidewalk Tastes are private all-inclusive food tours guided by app, so you can start and stop whenever you’d like. Keep your wallet in your pocket - the app unlocks each bite as it guides you along the way. The Sidewalk app guides you to a selection of local culinary icons and cultural gems. Just show the app to get your food. No bills, no tipping, no hassle. It's like magic. The app provides tasting insights and chef stories while you enjoy city’s best bites. The Mission District is a fusion of historic Latino heritage and continuous innovative transformation. Like its restaurants, the Mission is trendy, vibrant, and diverse. Explore this collection of Mission icons and trailblazers, and the stories behind the chefs and bites. You’ll also enjoy detours to some of the Mission’s most important murals and boutiques. On this Sidewalk Taste you'll explore the Marina’s flavors, history, Art Deco architecture, and residents. Along the way, you'll enjoy a progressive 4-course experience - while the Sidewalk app delivers the stories behind the entrepreneurial chefs and local insights about the neighborhood’s iconic institutions. Beyond the Little Italy charm of North Beach are relics of Barbary Coast revelry, bohemian Beatniks and Chinatown dim sum. Savor the stories and tastes of a classic Italian pastry, award-winning pizza, a Shanghainese delicacy and a dessert that is to-die-for. Sprinkled along the way are detours to iconic shops and sites that make North Beach che figata!